Upon my arrival at Merida’s airport I was greeted by Lynn, the property manager for my new apartment, and her associate Gabriela. Two delightful ladies who showed me around the area called Barrio de Santiago where my apartment is located.. The Santiago area is an older part of the city with some beautiful architecture and an “old world” feel to it. I noticed an interesting street system wherein most were one way, all are named Calle (meaning street) plus a number, this will certainly help in navigating around the city. We passed by Santiago Church, which the area was named after, it has a history going back to the 1600’s. Next to the church is Santiago Park adjoined to a large market with many different products and produce and included a number of outdoor restaurants. All this was about 5 blocks from my apartment. When we arrived at the apartment I was more than delighted at what I found. We entered from the street through white metal door/gate located in a wall into a lovely private patio with a small pool. 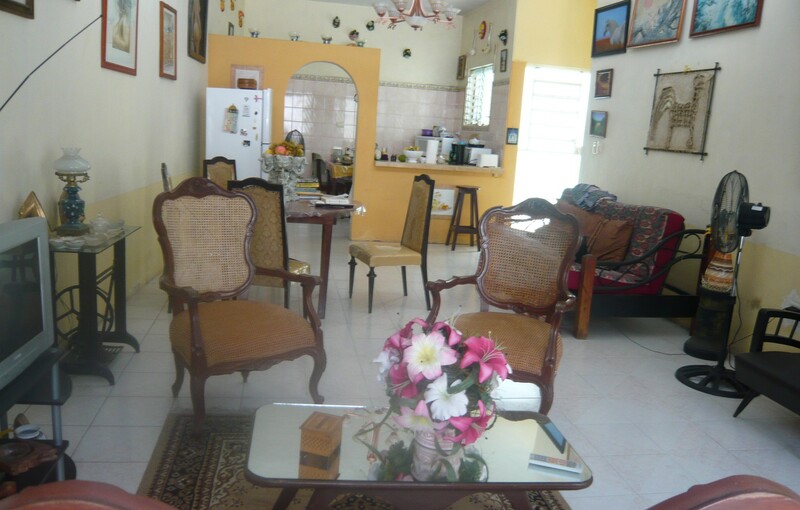 The apartment was very spacious, nicely furnished with numerous pieces of arworkt decorating the walls, it had one large bedroom, a bathroom, kitchen and living area, there was a A/C unit in the bedroom plus many fans throughout the apartment. 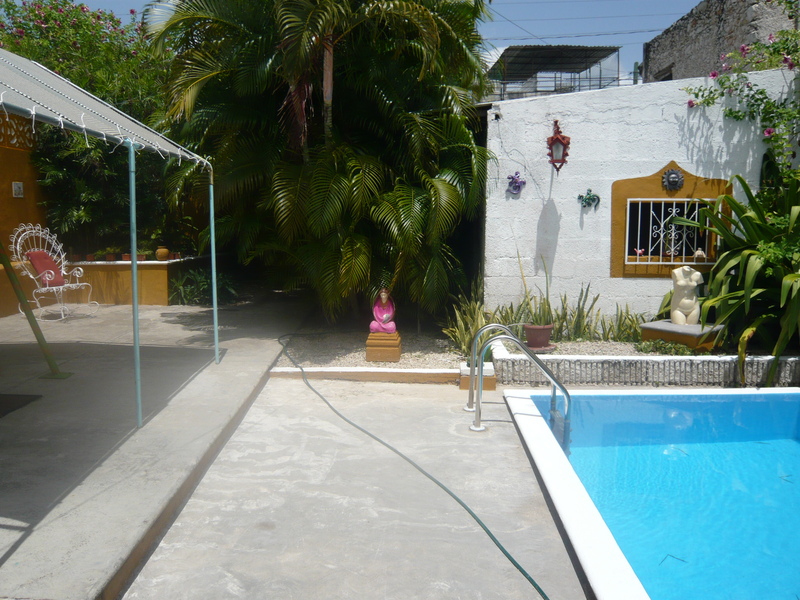 I found this apartment on line YucatanVacationHomeRentals.com.mx and leased it “sight unseen” for $450 USD per month plus electricity. Lynn was certainly true to her word on everything she had described on her website, in fact she understated the patio area which is absolutely lovely with tropical plants, wrought iron table and chairs and a covered patio swing. Tomorrow off to the Santiago market to check out the local produce and offerings.